NLP & mBIT Coaching is a partnership to help you to get clear on your direction, to identify what has been holding you back, access resources and to set and achieve goals. You can’t always change a problem but you can change your response to it and that is what makes the difference. Dave Gilbert provides solution oriented coaching, based on powerful NLP and mBIT approaches - focusing on your specific needs - to help you to be more resourceful and live more fully to you true potential. Coaching can be combined with hypnotherapy to be even more effective. NLP techniques and skills help us to think, act and communicate more effectively and make behavioural changes in ourselves and others. mBraining (mBIT) Coaching takes NLP to new levels. Recently developed by leading NLP Trainer Marvin Oka and Grant Soosalu, mBIT aims to align our three sources of intelligence: the head (intellect), the heart (emotional intelligence) and the gut (instinct). mBraining combines recent neuro science research and ancient traditions to provide practical tools for personal development and success in business, sport and relationships. Getting clear on your purpose? Setting and achieving goals more effectively? Planning more effectively & improving time management? Taking action (and avoiding procrastination)? Balancing business and other aspects of life? Developing rapport with clients and staff? Being more confident and self assured? 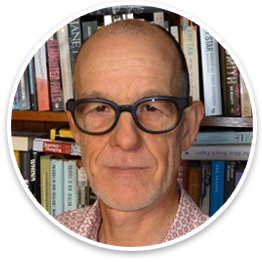 Dave Gilbert has developed a unique approach to coaching based on NLP skills as a certified NLP Trainer, experience as an international environmental management consultant, and over 30 years experience providing therapy and coaching services. Dave has assisted company owners and senior managers from a range of businesses and organisations including finance, law, IT, property, healthcare, media, construction, manufacturing, retail, hospitality, printing and advertising. Be more confident and effective when public speaking? Be more confident in job interviews? Dave Gilbert has helped many clients make progress with professional development and resolve work related issues. Professional development coaching focuses on your specific issues, building on strengths to help you to be more resourceful in your career. Using a combination of coaching and hypnotherapy, Dave has helped many clients to improve their performance in sport including golf, tennis, rugby, football, cricket, bowls, badminton, motor sport, swimming, cycling, running, tri-athalon and iron man. Developing a more positive attitude. Learning to be less defensive. Sometimes it is as if partners are not speaking the same language as each other and need the help of an interpreter. Dave Gilbert provides support for individuals and couples to help to rescue relationships and make good relationships even better. Get clear on what you want to achieve? Find your purpose in life? Work out what has been holding you back? Identify what you need to do to make progress? Be more positive about the future? Make positive changes as quickly and easily as possible? Dave provides personal coaching to assist you to develop a clear direction and purpose that fits well with a balanced life style and to increase motivation, develop coping skills, change old patterns and reduce stress. Set clear goals inline with your purpose, make progress and enjoy achieving the results. Registered Hypnotherapist (NZHRB) and Certified NLP Trainer (INLPTA) with over 30 years experience.